Greg Prato of the Long Island Pulse spoke with singer/bassist Glenn Hughes. Excerpts from the interview appear below. Long Island Pulse: Let’s discuss the Glenn Hughes Performs Classic Deep Purple Live tour. Glenn Hughes: What I’m doing is I’m taking inspiration from live performances from the mid 70s. I’ve got a file of work that you may have heard or seen from Cal Jam, London, Paris and LA. I’ve taken live arrangements of those classic songs, rather than the studio cuts. I just feel that it is closer to what we were doing when we were “all in our glory,” if you will. I think it’s re-translating with the audience and it sounds great with me and my band. Long Island Pulse: Which Purple songs are your favorite to perform? 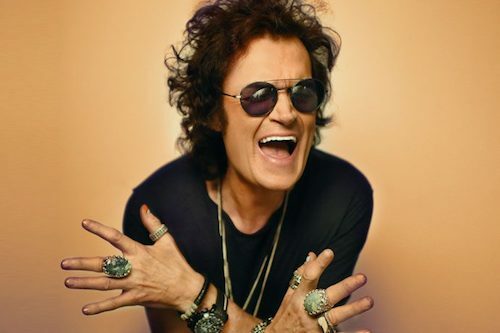 Glenn Hughes: Those songs that we wrote at Clearwell Castle—the castle where all the acts of that period in 1973/1974 rehearsed or recorded—are the loves of my life. I think I may be the only guy from the era doing a selection of songs from those albums—Burn, Stormbringer and Come Taste the Band. David Coverdale had a small run of a Whitesnake/Purple tour, which was great, but…I’m doing live arrangements and giving a real vibe to that. So, all of those songs you can imagine: Mistreated, You Keep on Moving, Stormbringer, Might Just Take Your Life, This Time Around, You Fool No One. It’s a really great event. Long Island Pulse: Are you still in touch with Ritchie Blackmore? Glenn Hughes: I don’t think anybody is really in touch with Ritchie. I say that out of love—Ritchie is Ritchie. But we have reached out to one another. He did ask me to see if I’d like to be in the latest Rainbow. It really wasn’t for me, and I only wish him the very best. Long Island Pulse: Ever consider putting together a project with David Coverdale? Glenn Hughes: I think that time is gone. There was an opportunity a few years ago when Jon [Lord] was still alive that we were trying to get Mark III back together. And then when Jon passed away…the only reason David and I would get together again would have been anything to do with Purple, the Purple music, the Purple legacy. And now, he’s done the Whitesnake/Purple record [2015’s The Purple Album] and now I’m doing this…I will continue on my own with my merry band of gentlemen and we will go around the world doing what we do. America is a big, big thing for me…which is where I’ll be playing quite a lot. There will be three legs of this tour, first one being August/September, the next one next spring and then late summer of next year. America will be getting to see a lot of yours truly. And I can’t wait. Read more at the Long Island Pulse.